Latest on THR Are Compton elections suffering from undue influence? The time of the year that excites most Compton residents and frustrates others has arrived. It is time to elect two new council members. Normally this would involve candidate forums, fundraisers, annoying robocalls, walkers canvassing neighborhoods knocking on doors, candidates making campaign promises, and mailboxes filled with colorful clutter. This election has a different feel about it…there is a new level of dissatisfaction. Compton is suffering from a host of challenges that have only increased over the last four years, and while the community is not just ready for a change of leadership, they are demanding a responsible, and accountable governing body. It is because of this need that the ‘business as usual’ attitude can no longer be found within the community. Residents are demanding more, and this demand is being meant with resistance from the current administration, through the use of undue influence, and voter suppression. Let’s stop and examine what undue influence is, and how it plays out in Compton, also we need to identify the correlation between undue influence, and voter suppression, as well as the immediate and lasting effect it has on the people of Compton. The community as a whole are displeased with the broken promises, potholes, untrimmed trees, poor lighting, the filthy streets, and alleyways along with the lack of overall basic city services, and most times the overall lack of interest from our elected voting body as residents take to the podium to voice their concerns. The outrageous salary of the city manager, and his inability to manage the city; combined with high property taxes, and utilities, on top of the ever increasing viciousness and disrespect exhibited by council members toward their colleagues has not gone unnoticed by the public. Yet, the desires of the people are ignored by those who are in power. This is just one example of undue influence. The single most effective factor that can change the trajectory of the city is the ability to first register to vote and then to freely exercise the right to vote for the candidate best qualified to serve the needs of the people. This process should be free of intimidation, harassment, or threats of violence. 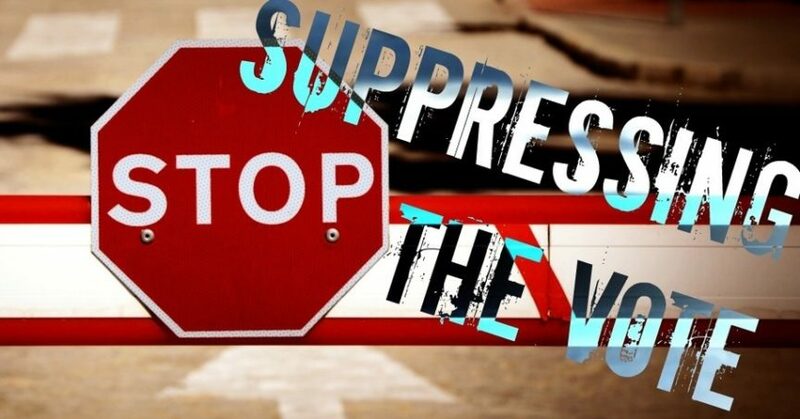 Who would have ever thought black and brown elected officials would go out of their way to suppress the voting power of their black and brown constituents, by attempting to prevent voter registration. When you have a particular group of residents who cry ‘fowl’ after every election: “The city clerk cheats for this candidate, or that candidate…,” or “the candidate cheats…,” is one side, on the flip side of this is “no one turns out to vote…,” or “my vote is not going to change anything…” However, one way to offset the attitudes of ‘cynical voters’, and to “prevent cheating” is to increase voter turnout by increasing the voter rolls by allowing those who want to vote to have easy access to voter registration. Residents who set about to register voters should be allowed to do so without running into roadblocks set up by the city. Business owners who wish to sponsor voter registration should also be allowed to do so without facing retaliation from city hall. Not only does the increased number of registered voters boost the morale of the community, it also ensures the will of the people will be carried out, and the candidate pool will greatly improve. Fear of ‘change’ through election defeat or city management replacement is the driving force behind the ‘voter suppression movement’ coming from within city hall. The reign of terror this city is under can end with an active voter registration drive. The thought of having the structure that has allowed for the misuse of public funds exposed, and the dissolution of the current 3 member voting block which has held this city hostage for years is frightening to the current administration. Therefore, their only obvious plan of attack would be to suppress the vote. The most important infrastructure of any city is not its roads, or bridges, it is its people. People make the city, and not the other way around—no one has the right to tell anyone when and where to register to vote anymore than anyone can pressure someone into voting for a person against their will or better judgement, or picking up someone’s ballot, or asking who someone voted for…your vote is your voice! irhnqgkbun,If you have any struggle to download KineMaster for PC just visit this site. acsjiv,We have a team of experts who could get you the correct settings for Bellsouth net email login through which, you can easily configure your email account with MS Outlook.